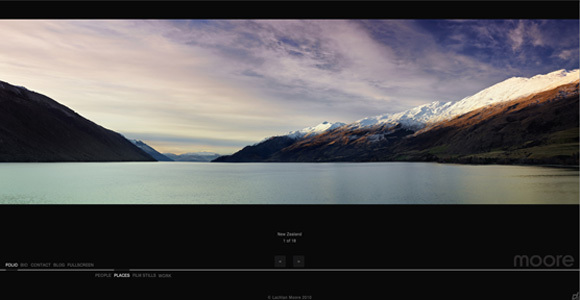 We've put up a site for Melbourne based photographer, Lachlan Moore. He is a great photographer and I've found myself wasting a lot of time looking through his portfolio. My favourites have to be some his landscapes of New Zealand. 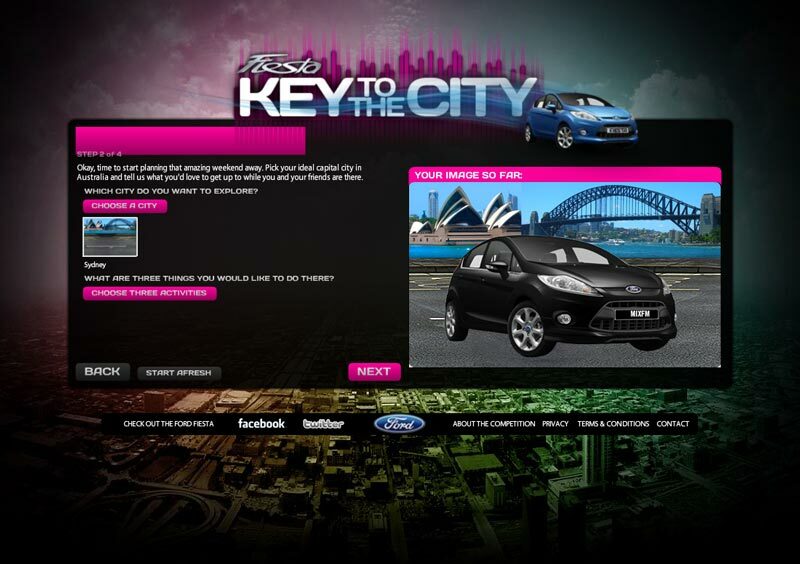 Together with Citrus, we built a competition based website giving fans of Ford Fiesta a change to win the ultimate weekend away. 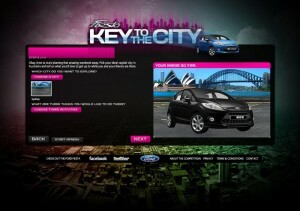 The site required users to enter a code and build a image of their Fiesta "Key to the City" experience. This involved users building their own image with the editor interface, importing and editing photos, and sharing their creation through social networking integration with Facebook and Twitter services. distriqt’s ABC Black Saturday site picks up 2 AIMIA awards! 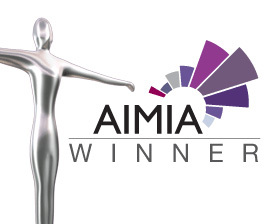 We're super proud to announce that our ABC Black Saturday site won 2 AIMIA awards on Friday night in both the categories it was nominated for! We'd like to thank everyone else who contributed to the project - Priscilla Davies the producer (who didn't get a lot of sleep during the last few weeks of it), Bec Smith the designer, and everyone else who worked on it! Posted on 7 Mar 2010 13 Aug 2012 Author Shane KorinCategories newsTags abc, awardsLeave a comment on distriqt’s ABC Black Saturday site picks up 2 AIMIA awards! Marija Ivkovic is DesignLicks site of the day! One of our recent projects, Marija Ivkovic has been featured as the site of the day on Design Licks. Posted on 14 Dec 2009 Author Shane KorinCategories news, workTags awards, design licks, flashLeave a comment on Marija Ivkovic is DesignLicks site of the day! 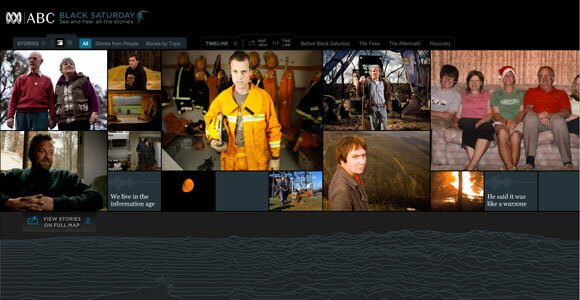 Our first major project, ABC Black Saturday Interactive, went live yesterday! "It pulls together hundreds of pieces of media – professionally produced media, official documents and records and the best user generated content – to provide a stunning insight into the fires and the people who lived through them. An interactive map and timeline allow you to explore the events through time and location, and a series of dramatic video portraits provide a moving insight into the personal experiences of some survivors." This project has been a great experience, and we're really happy with the end product. The site pulls together a heap of media data such as video, audio, imagery and news content from a multitude of sources and combines it into a great interactive experience. The Google Maps API also provided us with a really interesting way of exploring the data visually based on the time and location of every media item and story. Huge thanks go to the ABC Innovation Department, the producer Priscilla Davies, designers Bec Smith and Sarah Fawcett, and everyone else who contributed to the project - it was a great team to work with. 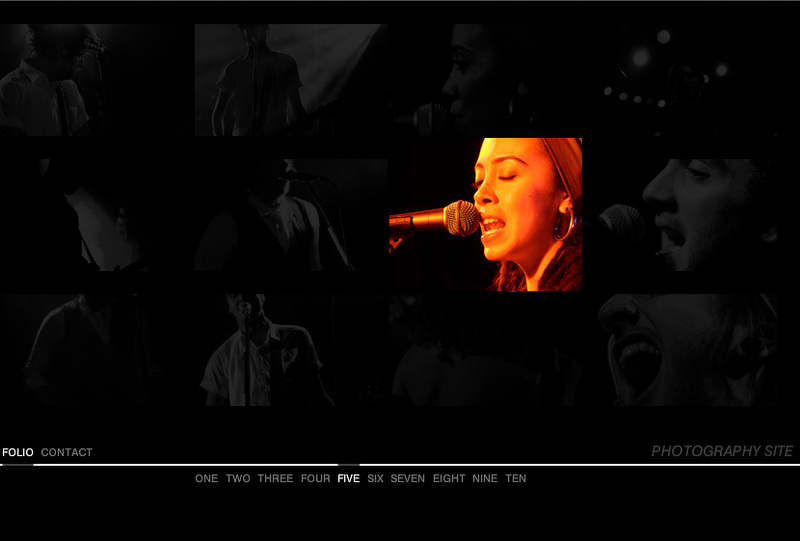 We're really proud to see this online so please go and check it out and explore the site! We developed a website for a customer but unfortunate circumstances meant it was never deployed. So we're offering it up cheap. 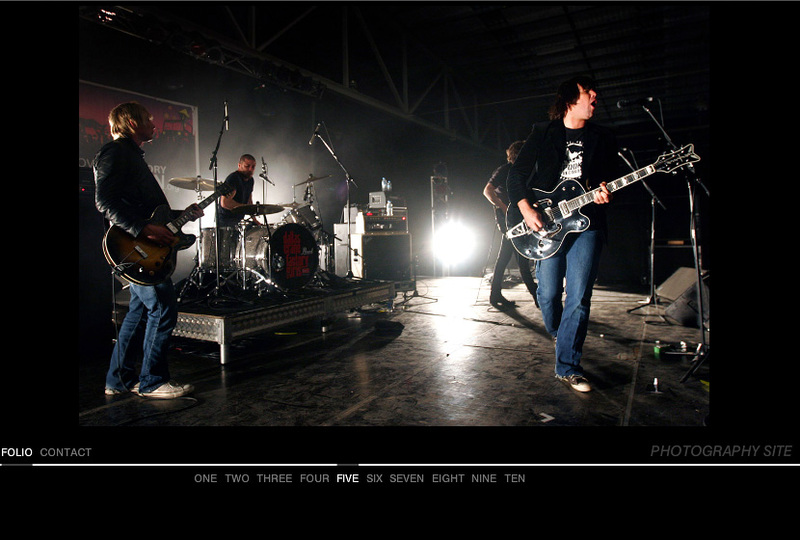 It's a full xml driven photo gallery website, designed for a photographer. We even linked it into a drupal CMS install with some custom php, to pull the images from the galleries allowing the site to be easily updated by the client. We are really disappointed this site never went live, so if you have any interest in putting a photo based website up this may be for you. 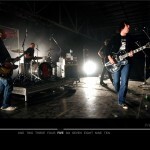 And if you're interested in the website drop us an email and we'll setup a preview of the site for you. 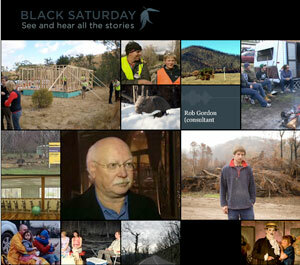 Our first phase with the Black Saturday Interactive has been released on the ABC site. The "mini-module" is a smaller version of the eventual full interactive site but is to be used on other news pages to draw people into the site. It displays a mosaic tiled wall of stories about the Black Saturday fires, each of which contains media items from a variety of sources including YouTube, Vimeo, flickr and ABC internal media sources. Well we've finally gotten a simple website together to provide a bit of a web presence for distriqt. We have big plans for interaction on this site with a multiplayer game integration in development. The game should be a draw point of the site so check back in the coming weeks to see the results. Opening posts are always a strange affair, usually offering up some form of justification for creating yet another blog. We however have no justification except our own needs. We're going to be using this as our own information base, combination of news, tips and to some extent a knowledge-base wiki.